LOST and FOUND "A NEW BEGINNING"
The IBUR Connection is a film about miracles. It was filmed in Israel, the West Bank, Morocco, Ukraine, and Poland. It is a historical spiritual road trip told from the tombs of Saints and Prophets. At the tombs of the Saints, there is an energy known as an IBUR. 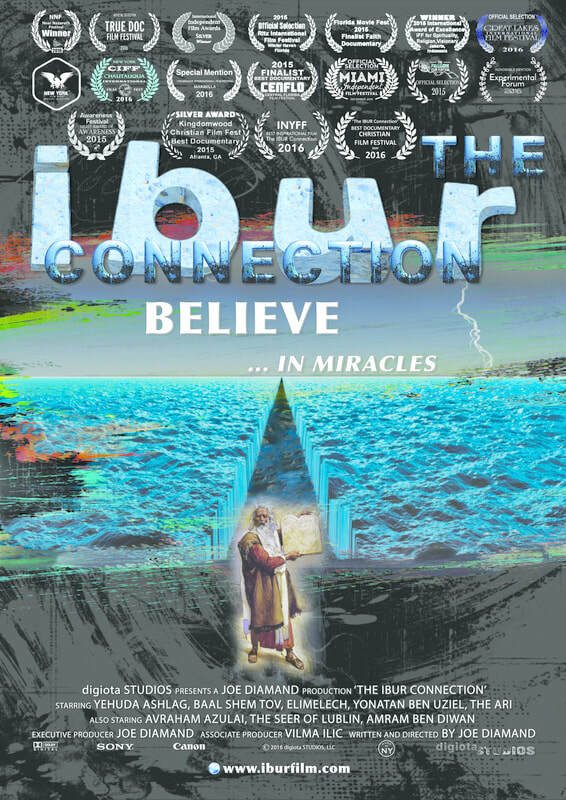 When pilgrims go to the Saints at their tombs and ask for miracles, the IBUR helps to make the miracles come true. While the film primarily covers Hebrew Saints, known as Tzadikim, it highlights the commonalities of the three Abrahamic traditions, which includes visiting several sites that are holy to Christians, such as the birthplace and the tomb of Jesus, as well as Islamic sites, such as the Temple Mount/Holy Sanctuary, the Arab section of the Tomb of the Patriarchs, and Morocco, a country that is entirely Muslim. In Israel/West Bank, the film presents the Saints along the four energy centers: Fire (Jerusalem), Water (Tiberius), Air (Tzfat), and Earth (Hebron). In Eastern Europe, the film travels from Kiev in Ukraine, to Warsaw in Poland, visiting sites that today are the only testament left from an era that was completely decimated during WWII. The film's narration provides information about the Saints' spiritual history, insights into the energies at their tombs, and stories about the miracles they performed.